This luxury boutique property with beach access features six cottages, all which are nestled around a beautiful heated pool. 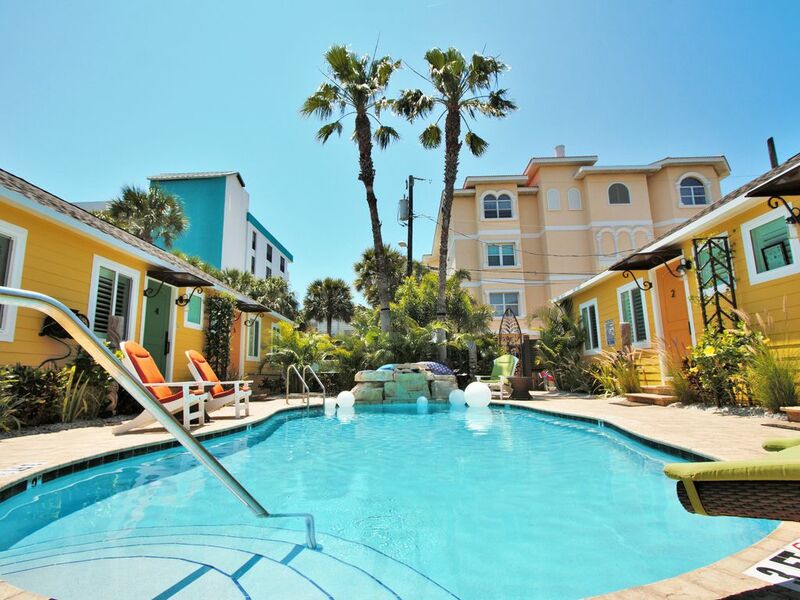 From the pool area you can sunbathe in our comfortable loungers, take a dip in the heated pool or enjoy drinks under the tiki hut. 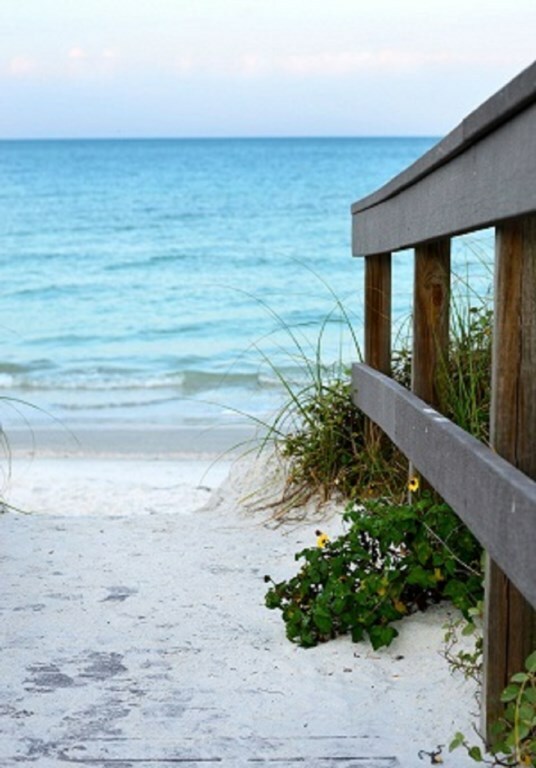 A very short stroll from our back gate leads you to the white sandy beaches! Book one cottage or the entire property for your special event – family reunion, wedding, corporate event. 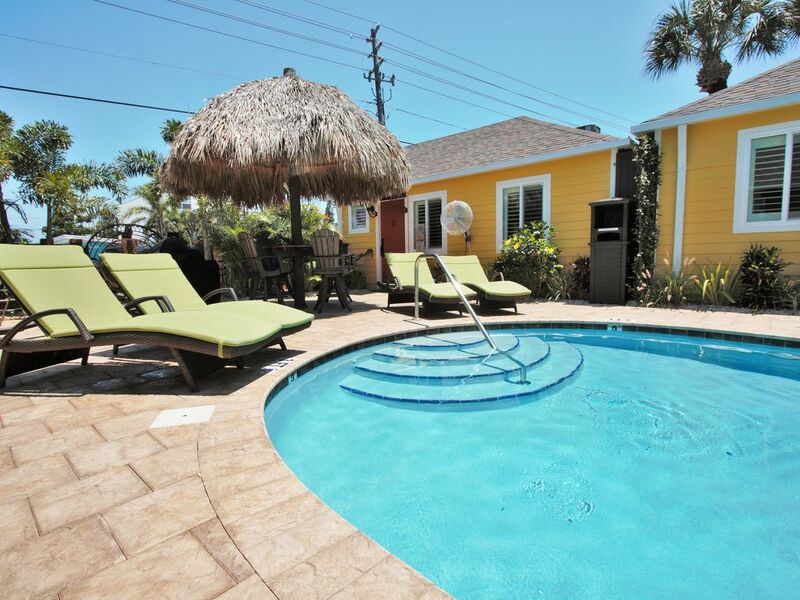 The property can accommodate 22 guests. GUESTS WHO ARE CHILDREN MUST BE 13 YEARS OF AGE OR OLDER. We have six units total: four, one bedroom Cottages (#2, #3, #4, #5) one studio Cottage (#0) and a two story two bedroom Cottage (#1). 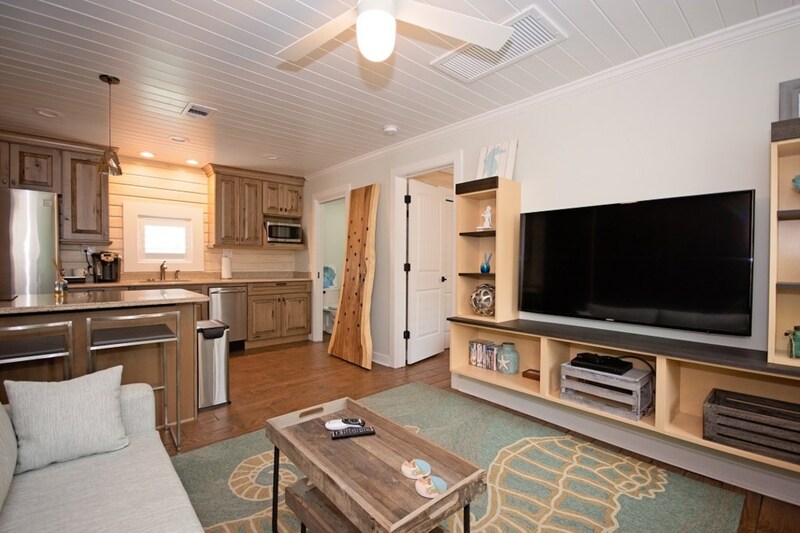 All cottages have fully equipped kitchens, large flat screen smart TVs in each room, Wi-Fi, and unique artwork by local artists. Cottages #2-5 each have: One Queen sized bed, full bathroom with a shower, a queen sized murphy bed in the living room for additional sleeping space, and a full kitchen. 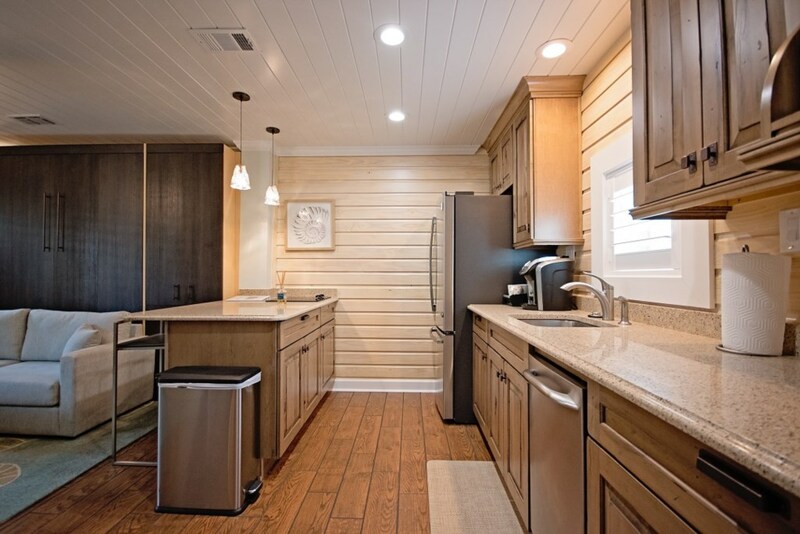 The kitchens are fully equipped with stainless steel appliances, granite countertops, a keurig coffee machine, and dishes. 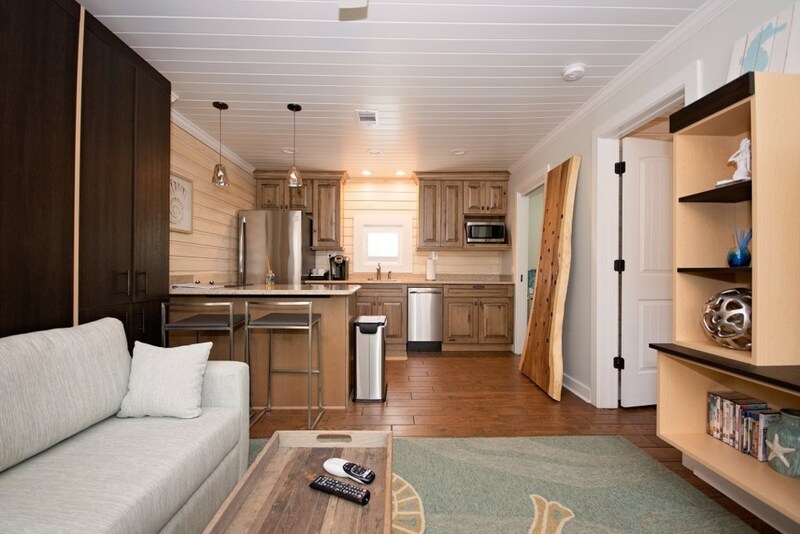 Each unit has two flat-screen TVs, Direct TV, and wireless internet. 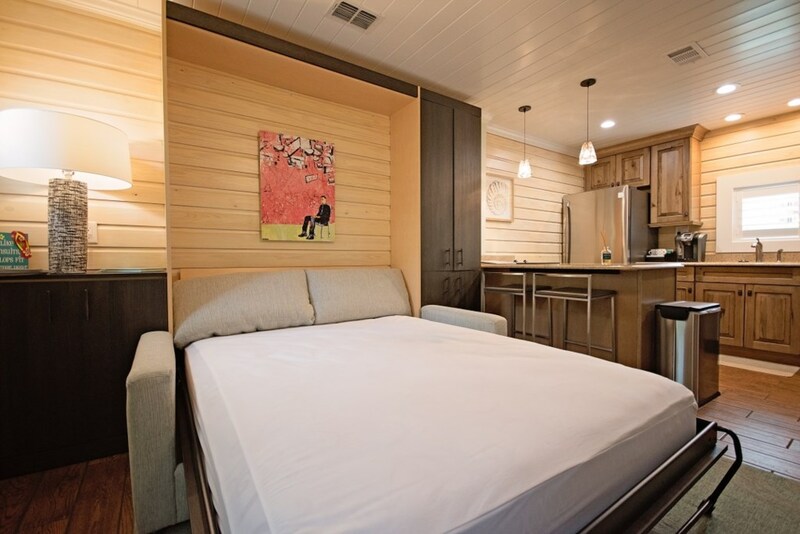 Cottage #0 is the studio unit with a queen sized murphy bed with posturepedic mattress, full bath with shower and full kitchen, also equipped with the amenities above. You can combine Cottage #0 and Cottage #1 by opening the lockout door to make a large 3 bedroom/ 3 bathroom cottage. 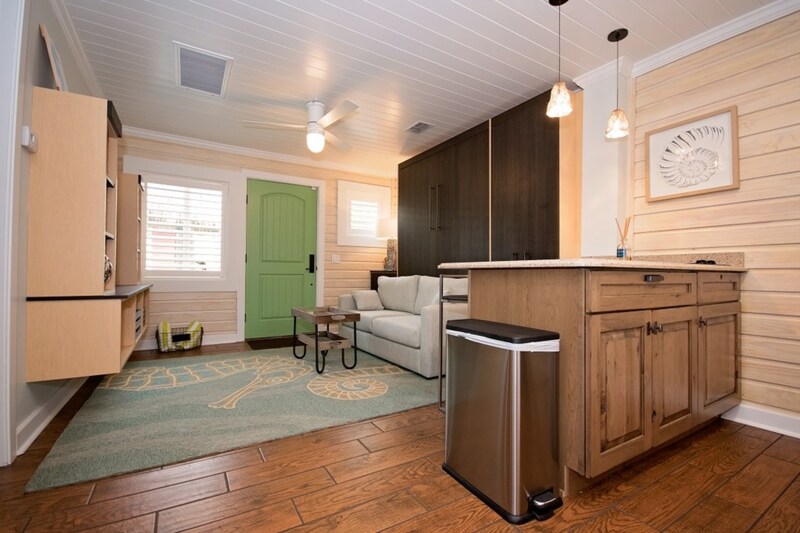 Cottage #1 is a two story, two bedroom unit. 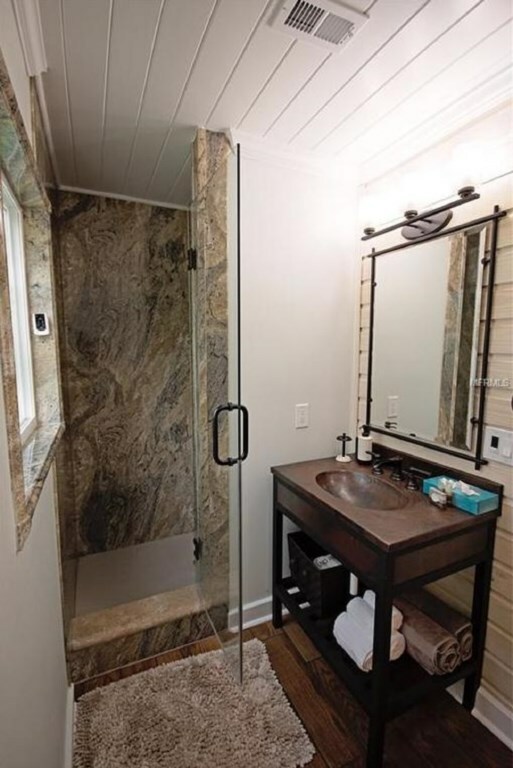 The upstairs bedroom ensuite has a queen sized bed with a bathroom featuring a large brass soaking tub. 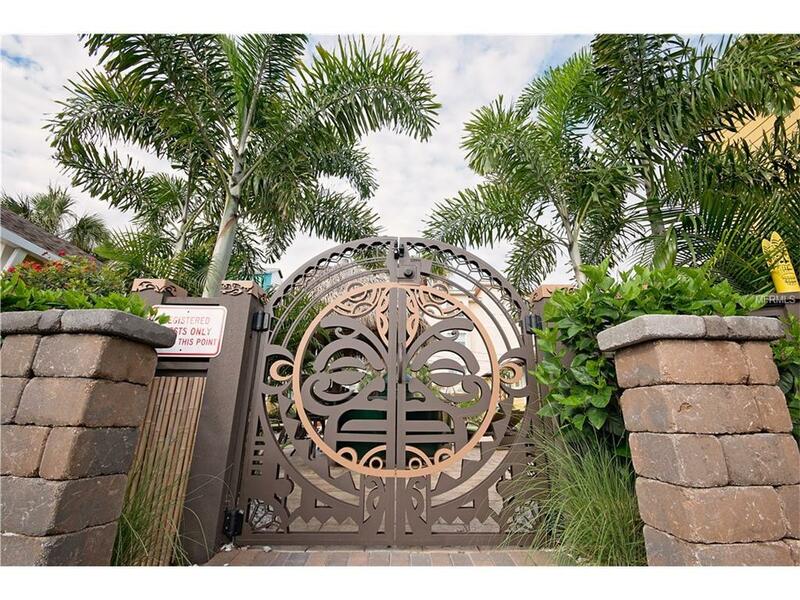 Located on the main floor is a sitting room with a queen-sized murphy bed; a full bathroom with copper sink and upscale shower; a living room, and a fully equipped kitchen with dining area. 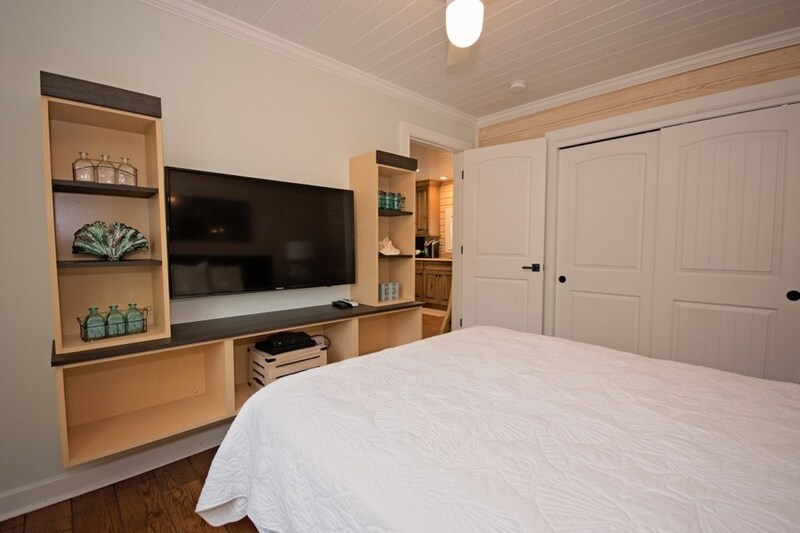 Bedrooms and living area are equipped with flat screen smart TVs. 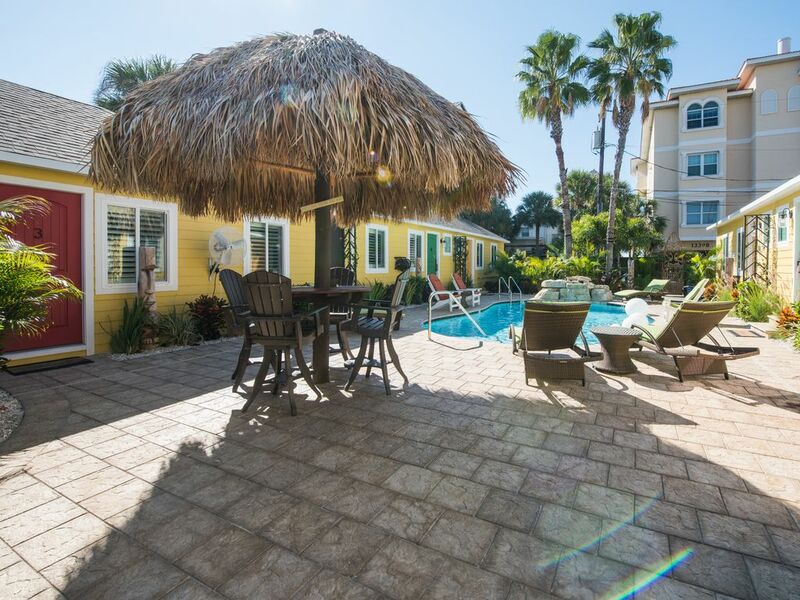 These luxury beach cottage rentals are located within walking distance to Johns Pass Village and Boardwalk, 20 minutes to St. Pete-Clearwater Airport (PIE); approximately 25 minutes to Tropicana Stadium (Rays) and downtown St. Petersburg; and less than an hour away from Tampa International Airport (TIA), Downtown Tampa, Ybor City, Amalie Arena (Lightning), Busch Gardens, Hard Rock Casino and two premium outlet malls. Location! 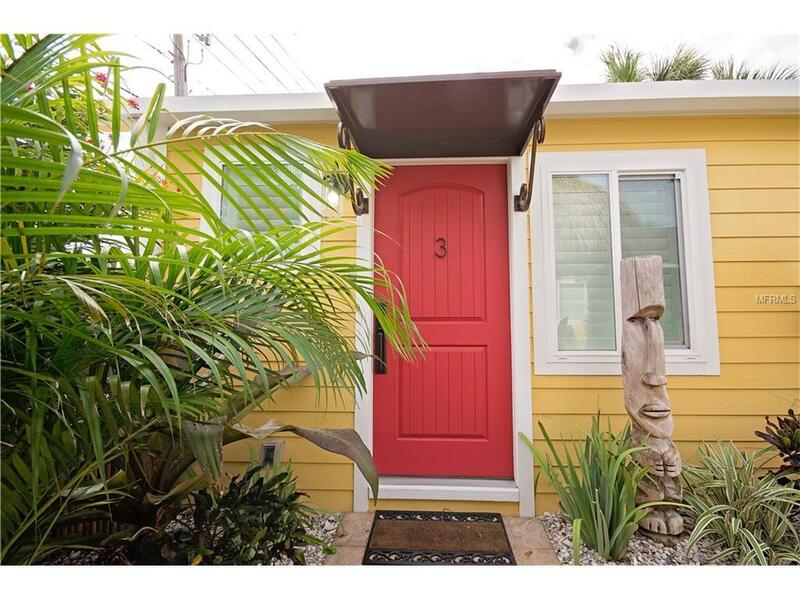 Locally owned and renovated with all the high end perks beach cottages. 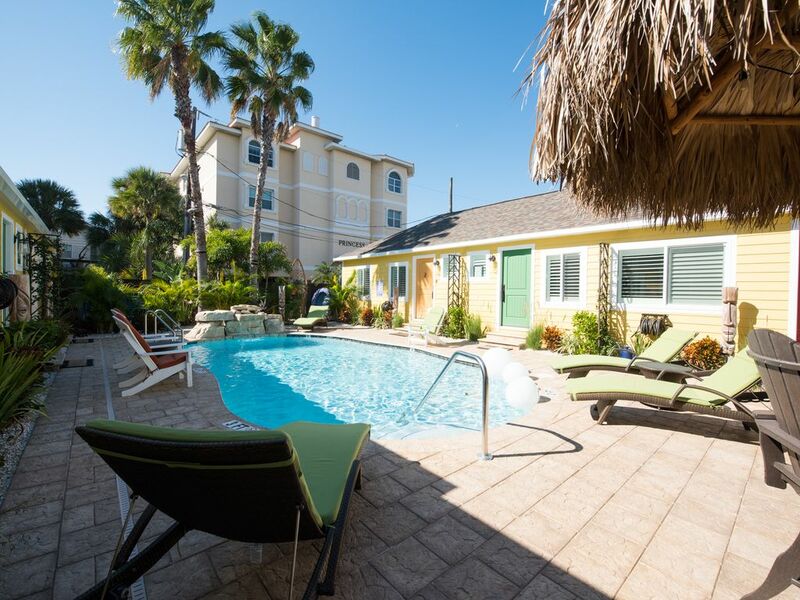 30 second walk to the beach and has it's own private solar heated pool! 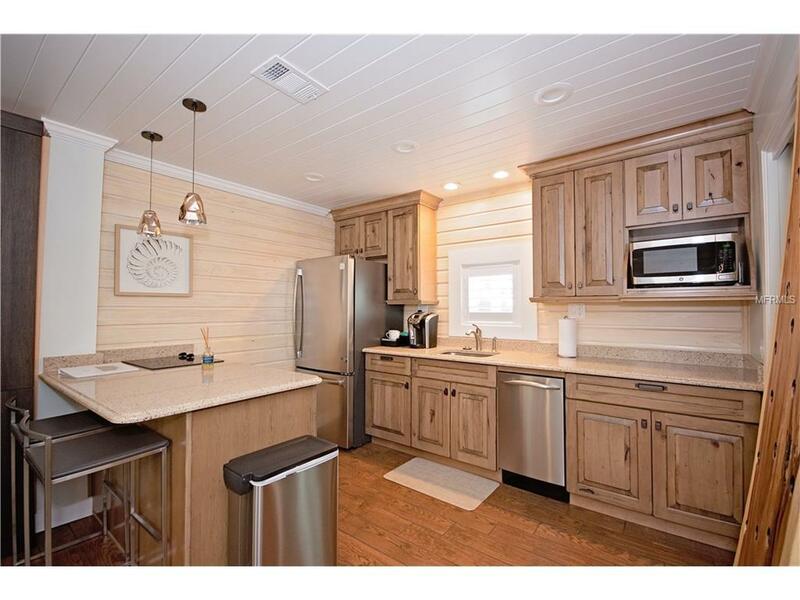 High end kithenaid appliances, Keurig coffee machines, dishwashers, granite counter tops and Murphy beds. 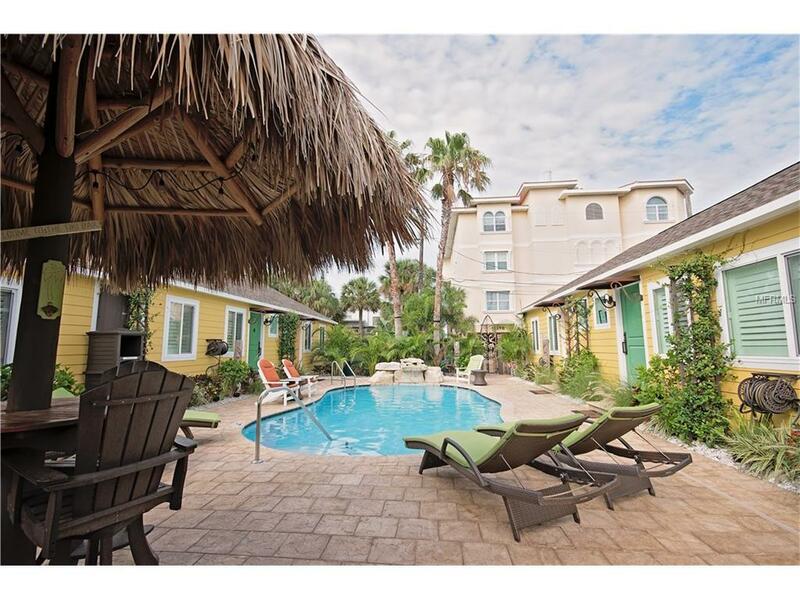 A few blocks from John's Pass and boardwalk with dozen of shops and restaurants. 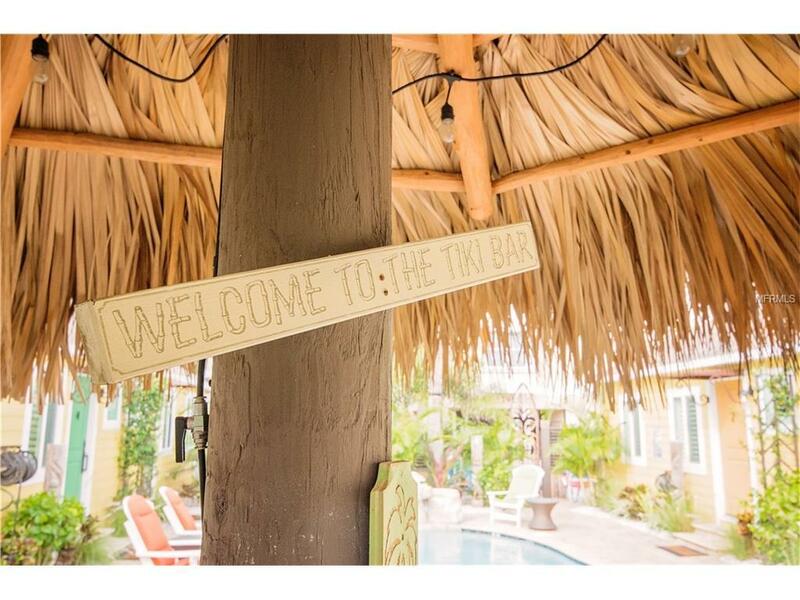 There is a tiki bar by the pool. 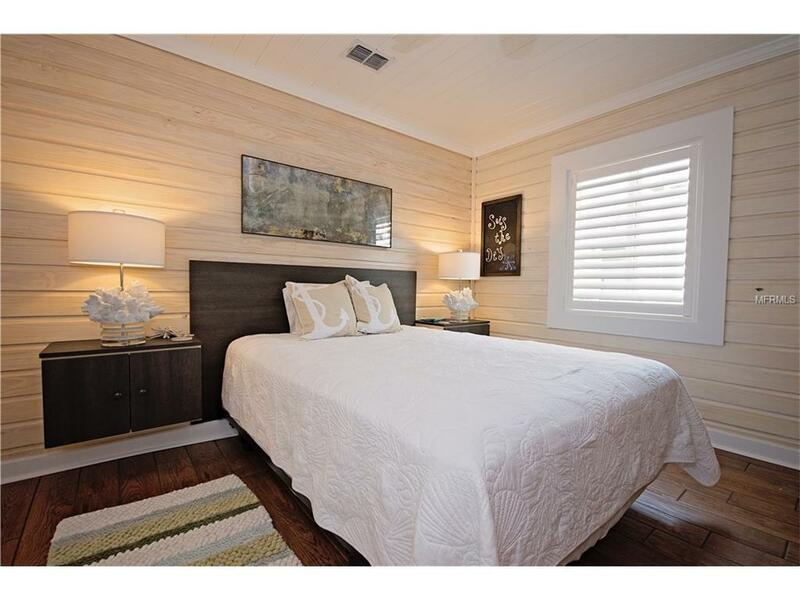 Rent individual rooms or the entire place for weddings and events. Sleeps total of 24 comfortably!. The owners are fantastic!!! 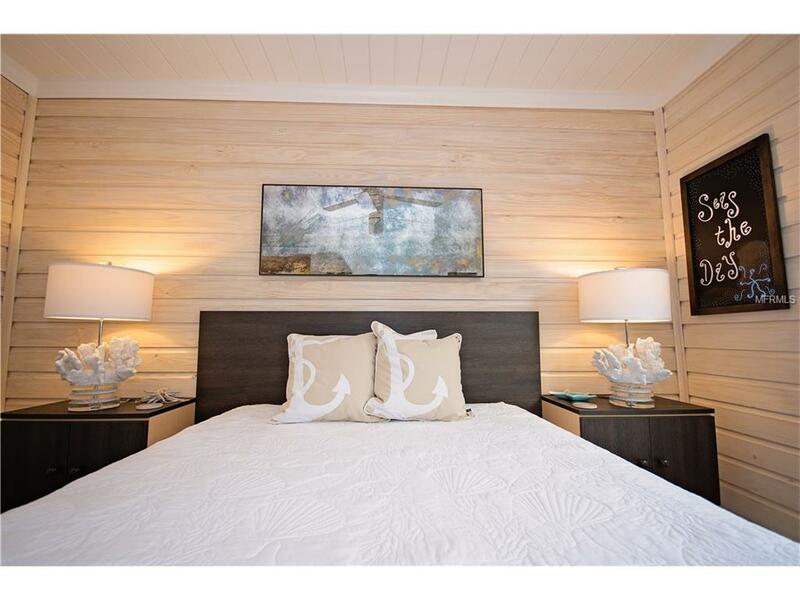 Highly recommend for anyone wanting to stay by the beach in a luxury cottage.